Keith Prowse recently undertook a survey in collaboration with the PH group, part of Experian, in which they analysed company demographics from events on the sporting and social calendar including Cheltenham, Henley’s Regatta, Lord’s, Wimbledon and Twickenham. 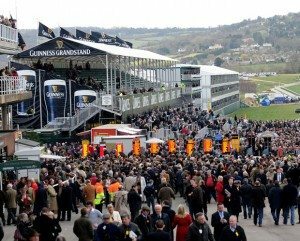 The results show Cheltenham festival to draw the most companies from far afield with 75% of companies are situated 100km or more from the event – the highest percentage of all the events surveyed. Cheltenham festival is one of the most prestigious and exhilarating events in the racing calendar, held this year between 15-18th March. Team Tactics has hospitality packages for Cheltenham, still available are glass front boxes and marquees so give us a ring now to create your hospitality event to THE event of the year to entertain guests and create lasting business relationships!